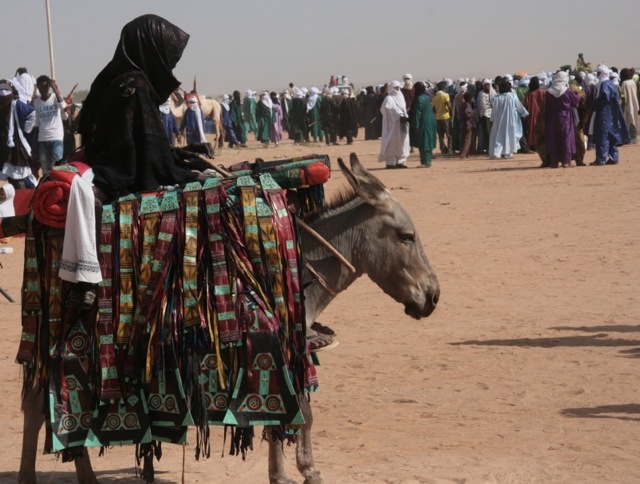 The Cure Salee is held every year after the rainy season, in the town of Ingall as an opportunity for the nomads to gather to celebrate the rains–if there are no rains–no festival. This year the rains were extraordinary–a very good thing for the nomads who will have good pasture all year, but many people suffered from the heavy flooding, losing their homes and crops. Its hard to win–last year a severe drought caused famine and suffering–this year heavy rains were the problem. 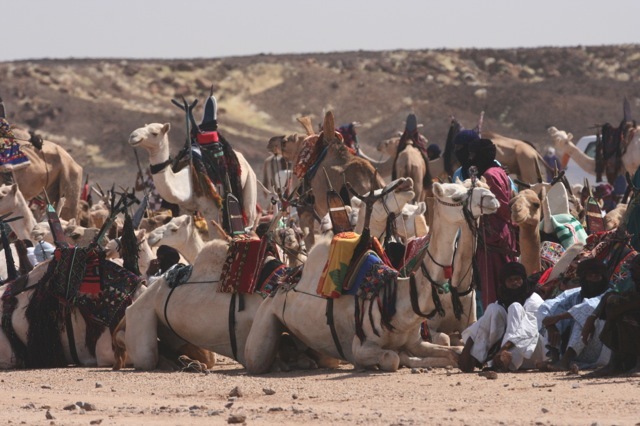 At least the nomads are happy–since they don’t have houses they didn’t lose any. 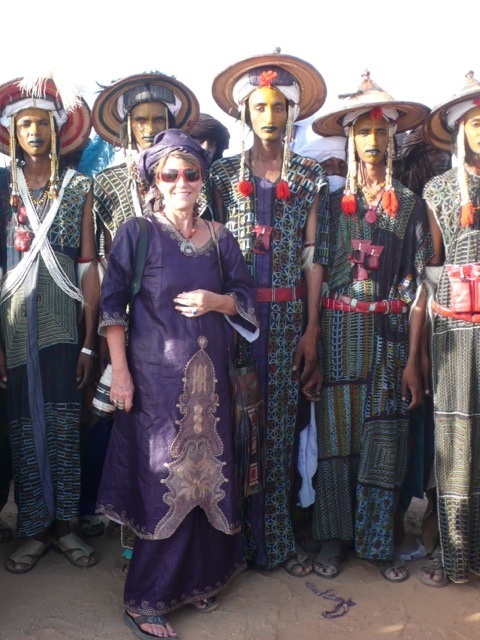 It was expected this year that the US ambassador, who is very supportive of the north of Niger, would come with a contingent of Americans. After the assassination in Libya, she prudently cancelled to the great disappointment of the locals. So as has been the case in the last seven years, I was the only American visible. I later learned that the Chargé d’Affaires (second to the ambassador) came, but I never saw him. Ambassador Bisa Williams is very highly regarded in the north and she has taken a role in promoting peace and stability in the region. 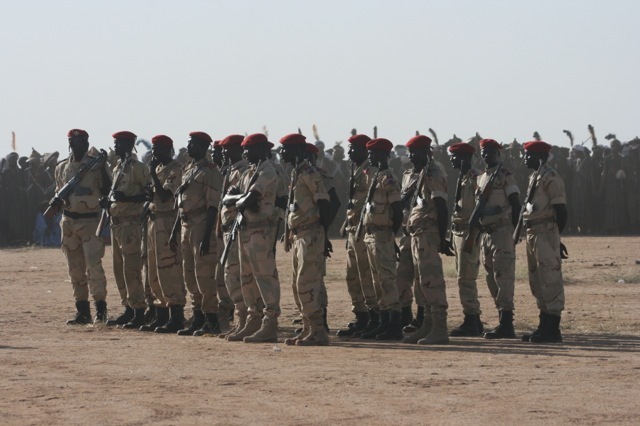 There was PLENTY of military security as many African Ambassadors, and Nigerien ministers were there. 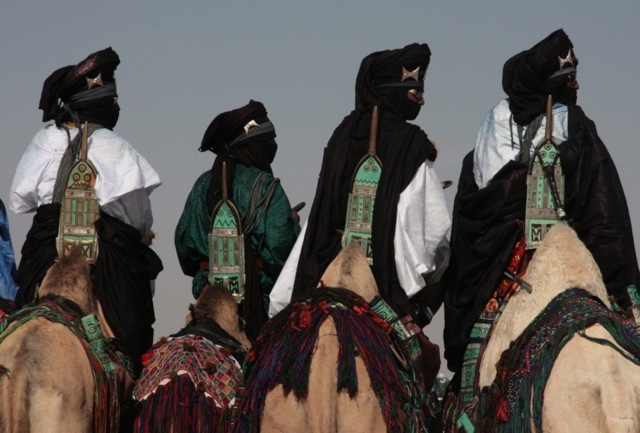 The Tuareg have to show off. 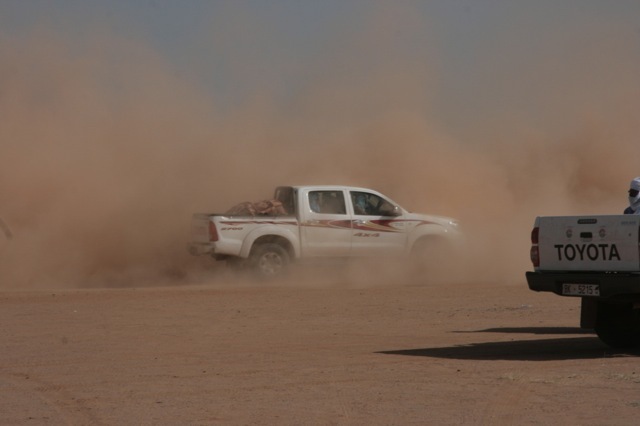 If they have cars instead of camels–they make zeros–and dust. 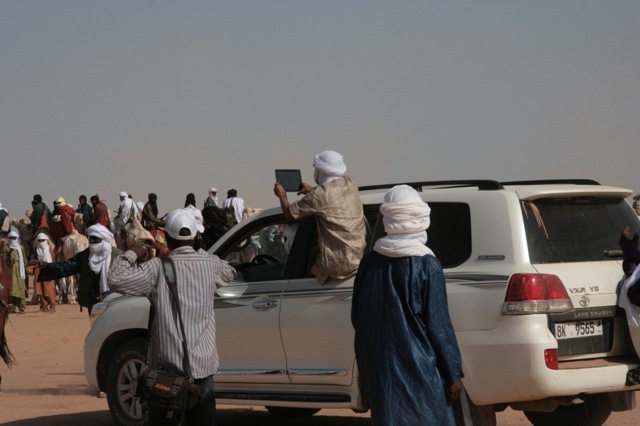 The modern world has intruded beyond the vehicles–there were even a few iPads in evidence. 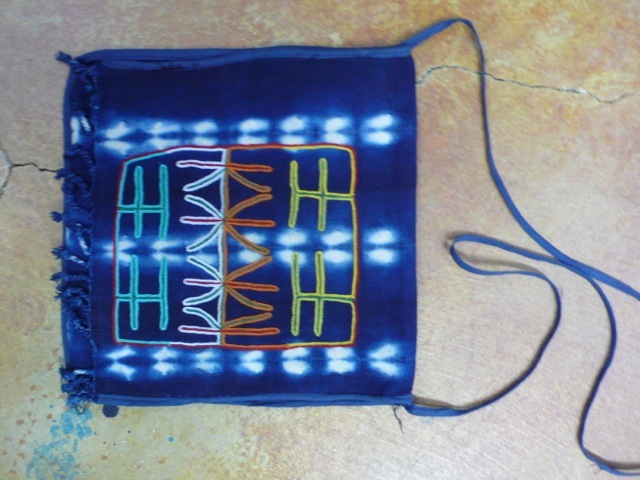 I bought a lovely embroidered case made for a “little computer” by the Wodaabe women who have never used a ” little computer”, but have the good sense to make a “house” for one. Sidi in his finery, never stopped working, but at the end of the camel race the whole crowd was shouting–SIDI SIDI SIDI–in appreciation for the great job he did. 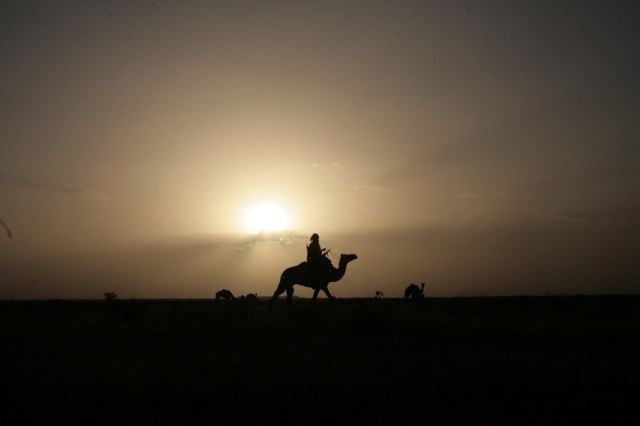 Alhassane said he thought Sidi’s camel must have won the race, knowing Sidi does not have a camel. Fatimatou, Sidi’s lovely wife, (second from right) was there with friends. The donkeys too, were well dressed. 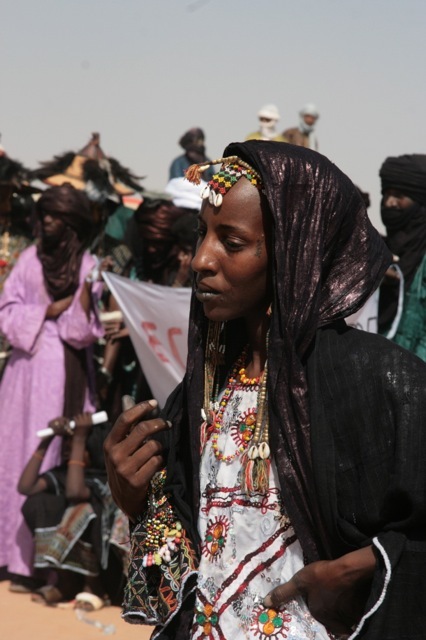 The Tuareg girls declined to enter the beauty contest this year because they claim it has brought bad luck to the last two contestants–so it was left to the beautiful Wodaabe girls. 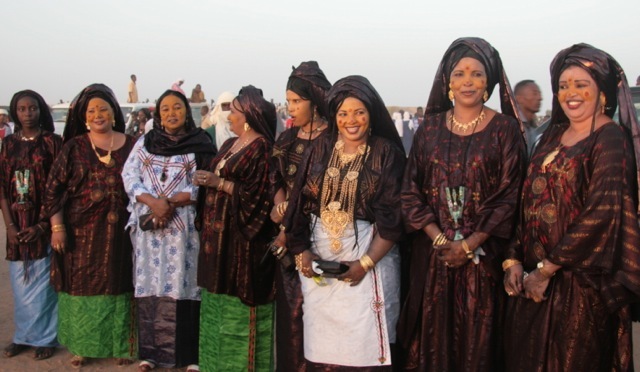 Of course the traditional Wodaabe beauty contest is for the men. Here I barge in to spoil the effect. Everybody had a great time–not least of all me–it has been many years, because of the tense security situation, since I have been able to attend a nomadic festival. I was VERY happy to be there. 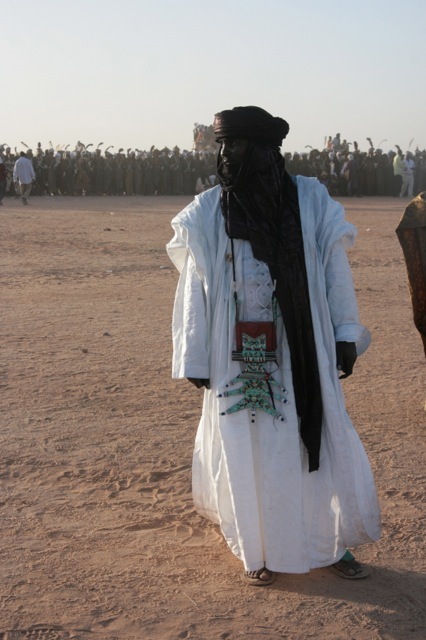 avez vous eu l’ocassion d”‘aller les jours suiivants à l’Assemblees des Wodaabe à tagoudoum chez ????? j’ai oublie son nom mais ily la un potager avec une arrosement goutte à goutte ? avez vous rencontré Doula Mokao ? j’ai appris que son père était tres malade je lui avais parle losqu’il etait en france et depuis lors RIEn que de vient vos projets? Oui je suis allé a l’assemble–je suis en train de faire le prochaine blog sur ça. (Un peu en retard) J’ai vu Doula. Je vais repartir au Niger bientôt pour continuer la formation de matrones, ouvrir un école a Tamesna et continuer nos projets. Do you think the opportunity to see the cure salee will come around again? I have continued to harbor the hope that we could plan this again, ever since our aborted trip…..
Blessings for all the incredible work you do.